MPs have hailed a breakthrough for Birmingham jobs after a Government committee chair called on HS2 to adjust plans for a train maintenance depot in Birmingham so that unwanted land can be freed up for development. The massive former Alstom and LDV sites in Washwood Heath are currently being held to provide a marshalling yard , called the Rolling Stock Maintenance Depot (RSMD) for Britain’s high speed rail network. 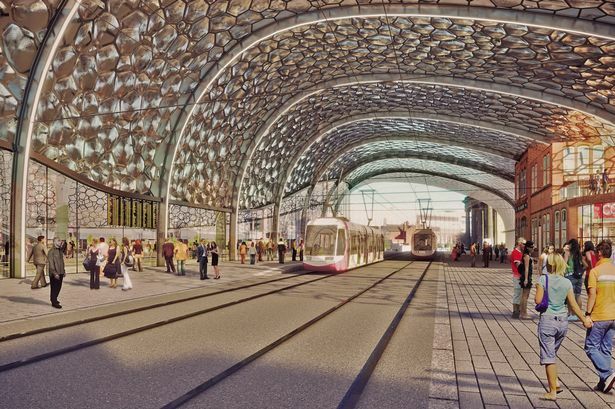 But Hodge Hill MP Liam Byrne and his colleagues have long argued that the site is much too large for HS2’s needs and parts could be developed with warehousing or industrial units now - creating much needed jobs for the inner-city area in the medium term. He said the LDV/Alstom site is vital to the city as, the size of 100 football pitches, it accounts for a third of the undeveloped industrial land in the city. It is also at the heart of Birmingham’s inner city where unemployment is high and jobs in short supply. Chairman of the HS2 select committee Robert Syms MP said: “On Washwood Heath, we were impressed by the submission from AXA and our colleague Liam Byrne and we sympathise with the need to address high unemployment in and around his constituency. Mr Byrne has been joined in the campaign by West Midlands MPs of all parties. Lorely Burt, the Lib Dem MP for neighbouring Solihull said: “I have long argued for jobs to be protected at Washwood Heath whilst also being conscious of not damaging UK Central’s prospects for delivery. “The Select Committee’s decision on Washwood Heath is quite obviously a ‘win-win-win’. A win for the people of Washwood Heath, Solihull and also HS2. And Conservative MP Caroline Spelman was delighted that an alternative site for the RSMD in her Meriden constituency was not selected.